If you’ve ever tried to distinguish between third-party optics, you understand what a chaotic world it is. Whether it’s the OEM provider who insists they won’t support any optics that aren’t theirs, or the TAC who gives you a hard time on a troubleshooting call, your choice in optics matters. And the demands on your network are only going to increase. Demand from the Edge, 5G, and IoT are coming. If you’re not doing optics correctly, you’re going to be overwhelmed. So how do you pay less without getting less? 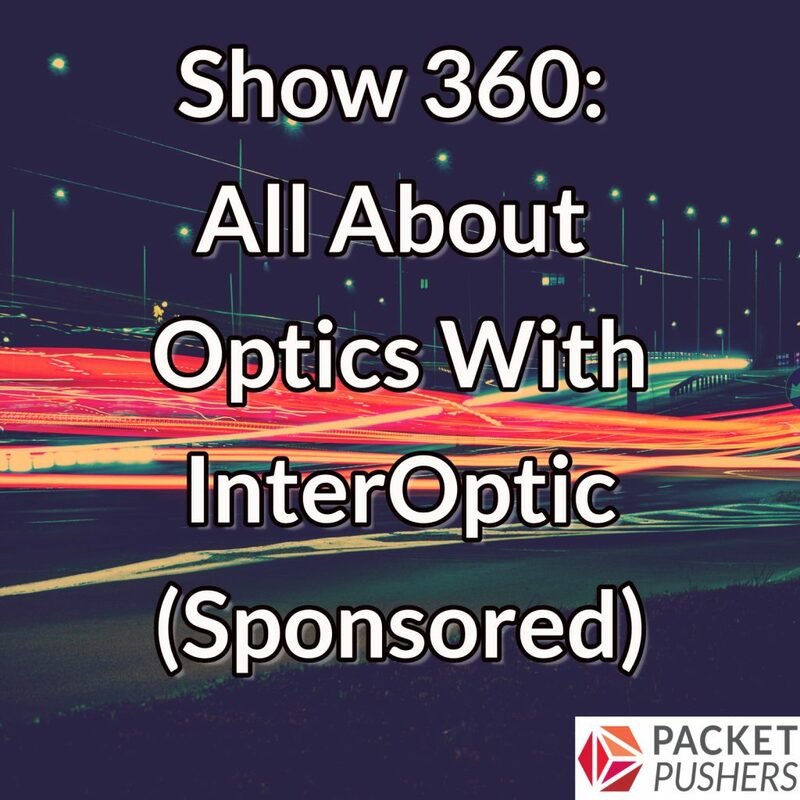 Our guest for today’s sponsored podcast has an answer: Buy OEM equivalent optics from InterOptic. InterOptic CEO Tim Dixon joins the Packet Pushers for a lively discussion about the world of optics. The engineers at InterOptic understand you’re going to need a more nimble layer zero and they can help spec the right product for any networking environment. This is critical for your needs today and the needs you don’t yet know you’ll need tomorrow. In this podcast, the group covers everything from the Shannon limit to the safety of kittens everywhere. Who knew optics could be so interesting? Tune in to learn how you can prepare your data center for the future. InterOptic is data interconnect company. Since 2005, the InterOptic team of optics engineers have been helping enterprise companies and government institutions meet increasing bandwidth, complexity and interoperability demands in their IT environments. Leveraging decades of optical expertise, the company offers a full range of data interconnect solutions to meet the needs of today’s most complex, mission-critical networks. InterOptic’s fiber optic transceivers – equivalent to leading manufacturer brands such as Cisco and Juniper – are installed on seven continents and deployed in many of the world’s largest networks. From a hut in the Arctic Circle to the battlefield in Iraq, InterOptic has more than 4,000 customers across 7 continents. Follow InterOptic at @GetInterconnect or visit interoptic.com for a quote. I had this kind of issue with one of the big vendors regarding SFPs.